NOTE: This content is old - Published: Friday, Apr 20th, 2018. 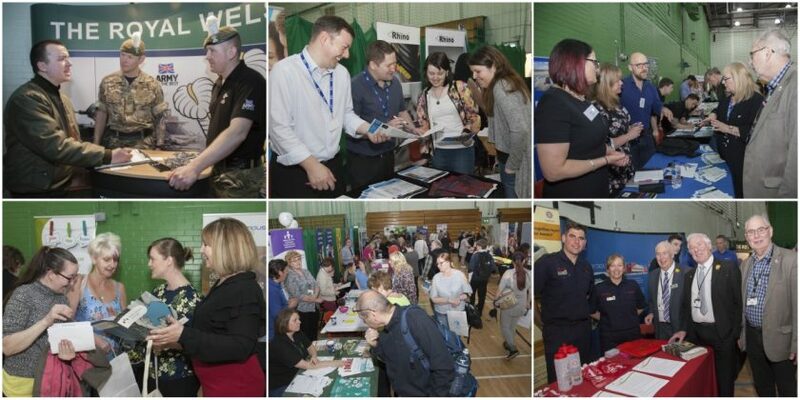 Over 500 people attended a jobs, skills and training event held at Deeside Leisure Centre on Thursday . The was the first run by the newly established Communities for Work Plus team which was developed from the original Communities First Team and has secured jobs and training opportunities for local people over the past 15 years. The event was supported by 20 providers and 52 employers with over 500 vacancies available in a variety of sectors. “Feedback providers showed that the quality of the candidates and level of engagement was higher than last year, with more opportunity to have one to one discussions. Because of the high calibre of attendees, some employers wanted to interview them there and then on the day.” A spokesperson for Flintshire County Council said. “Once again, this interactive event was a great success and gave attendees the opportunity to meet employers, education establishments and support agencies.